Niujie Mosque can be considered as the most historic and charming mosque in the city. 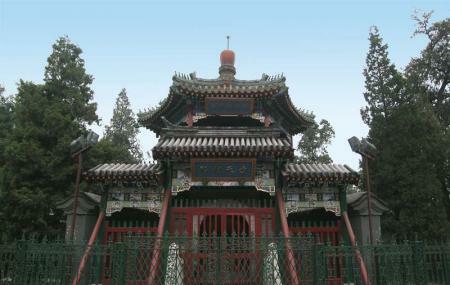 Located on Ox Street in the Xuanwu District, the place is famed for its picturesque architecture and design. Popularly known as Ox Street Mosque, it has greeted many travellers from all over the world. With Arabic-style decorations and chic architecture the place is no less than a marvel of designing. The Mosque is also a great way to learn about Islam. Some areas in it are not open to the public. Take a bus from Niujie Mosque. Take the subway from Guang'anmen Inner. How popular is Niujie Mosque? People normally club together National Centre For The Performing Art and Fayuan Temple while planning their visit to Niujie Mosque. Wonderfully preserved Mosque with sermon in Chinese. A marvellous place, full of spirituality and history. A must to see in Beijing. Very classical masjid in downtown Beijing.